What is the email dropbox feature? 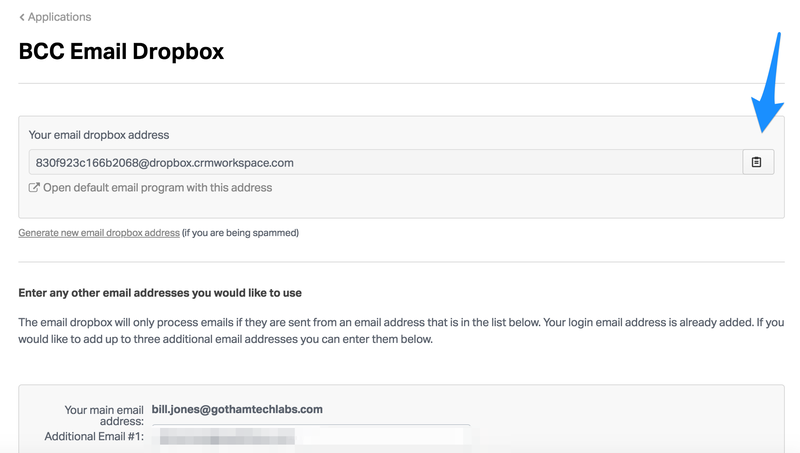 Wealthbox generates a unique “dropbox” email address that you can use to forward emails to your contact’s activity stream. When contacting a client via email make sure to BCC this unique address to ensure these emails will go directly onto their contact record. Incoming messages from your clients can be forwarded to the unique dropbox email. Be sure you have included the email address you will be using to forward the emails in the area below the dropbox address. (Note: This only works if you are using an email address associated with your Wealthbox account). See also: Can I e-mail a contact directly from Wealthbox?